Kale nutrition facts show this particular leafy green vegetable to be among the highest rated for nutritional value when compared to other similar vegetables. Related to Brussels sprouts, collard greens and cabbage, Kale offers a plethora of key vitamins and minerals, which are essential to good health. With more than 80 of these nutrients readily available in each serving, kale ranks as one of the healthiest foods commonly supplied by nature. Kale is also considered to be an excellent source of fiber, as well as calcium. For the latter, it is particularly helpful as a substitute for those who are lactose intolerant or who choose to avoid the consumption of dairy products. 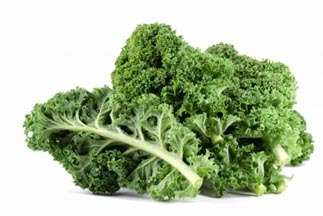 Because of its high oxalate concentration, those with preexisting kidney stone or gallbladder conditions are advised against the consumption of kale since oxalates can cause a crystallizing of bodily fluids. There is also mixed evidence of kale consumption interfering with calcium absorption. Where this is believed to be true, it is contributed to the oxalates contained in the vegetable. While it is not clear whether or not one school of thought is more correct than the other, those with a history of calcium deficiencies should be aware of this possibility and design their diet plans accordingly. Leafy green vegetables, such as kale, are an important source of nutrition for optimal health and energy. Useful in natural remedies and home cures for several conditions, kale is highly recommended especially to those with preexisting conditions and deficiencies who have decided upon good health through natural means as a primary goal. Kale is not intended to be used in lieu.